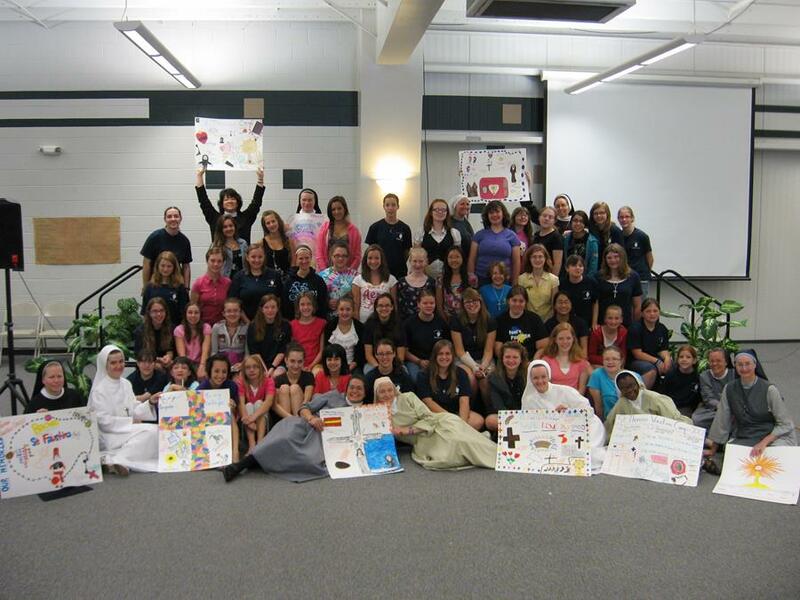 St. Therese Camp and Retreat is for girls entering 7th thru College. There will be separate discussion groups for those who are seniors and college age. Jeremiah Days Camp is for Jr. High boys who will be entering grades 7—9 in the fall. First Call Retreat is for young men who will be entering grades 10 through college in the fall. There will be separate discussion groups for those in college and high school. All high school students are invited to join SMYG! We took three buses and 148 total people attended with the support of St. Mary Parish! Thank you for your generosity and prayers! We may need four buses next year! To see pictures from this year click here. Click here to see our video. Mark your calendars for Steubenville 2017: July 14-16. First, we want to thank everyone that in some way helped to make the Steubenville conference possible for our 69 students and 14 chaperones! As I looked across the sea of students at the conference, I thought, "Every prayer prayed, every effort exerted, and every penny spent on these students, dancing, singing and praising God - was worth it - was so absolutely worth it!" I could not help but be overcome by joy at the work of God in their hearts, as I watched them rejoicing in who they were - who God made them to be! Some students wanted to go, some were hesitant, and some students refused to go, but gave in with either a bribe or threat of punishment. It didn't matter what situation brought them there. They were there for a reason. God chose them to be there. He wanted them to be there and He revealed Himself to them in such a personal way that their lives will forever be changed. Continue to pray for these students as they enter into the battle that we all face - to choose right from wrong, to choose God and eternity, over the lures of evil. It's easy to spend time with thousands of other students calling out to Jesus. It's very hard to return to high schools full of students choosing the ways of the world, and with other Catholics who simply go through the motions. The students learned that salvation does not come from being "good" or even being "better" than the person next to them. No one can earn salvation. The way to eternal life with God is through knowing Jesus Christ and loving Him with your whole heart, soul and strength. The students responded to the messages they heard with their hearts overflowing with joy, arms raised and tears flowing. It was an experience they will never forget! Again, thank you to everyone who invested in these students, the future of our Church! All high school students, whether or not they attended Steubenville, are invited to continue their faith journey with our youth group activities throughout the year. We expect an exciting new year, and look forward to seeing what great things the Lord has planned for them! P.S. 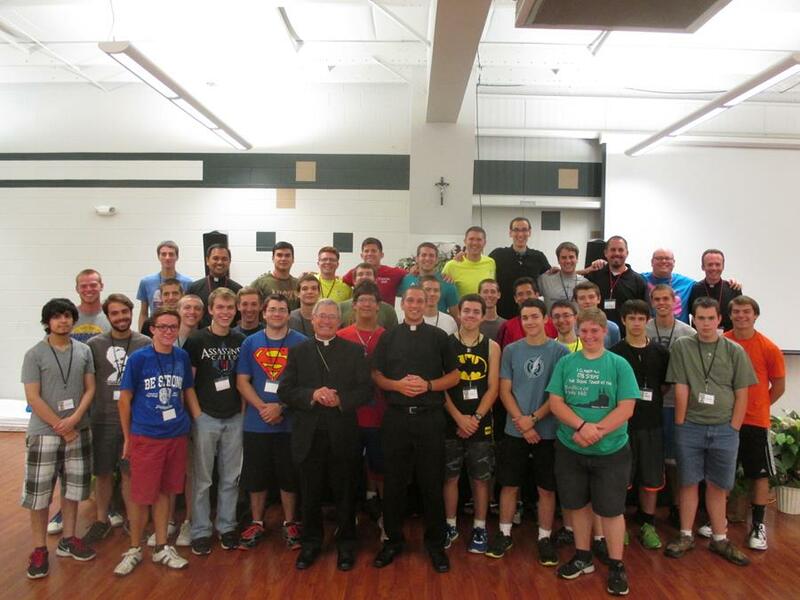 Click here for the link to our Steubenville 2014 video! As disciples of Jesus Christ we are called to learn from Him and follow Him. In Him we find our fulfillment and purpose in life. Jesus tells us in Scripture that He came to serve, so we too must take to heart this essential call to serve others if we truly are disciples of the Lord. Did you know that the secret to JOY is to put Jesus first, Others second and Yourself last? In following Jesus, and serving others you will find joy. If you are reading this, think of one thing you can do for someone else today. You can make a difference! Our very first SMYG service project was a wonderful success! Food pantries are always well stocked during the holidays, but they run low in the summer. Therefore our Youth Group decided to promote "Christmas in July", a food drive to help provide food for those in need during the summer months. We received 1,038 donated items and we hope to double that number next year (July 25-26, 2015)!